Day five closed with no major drama. 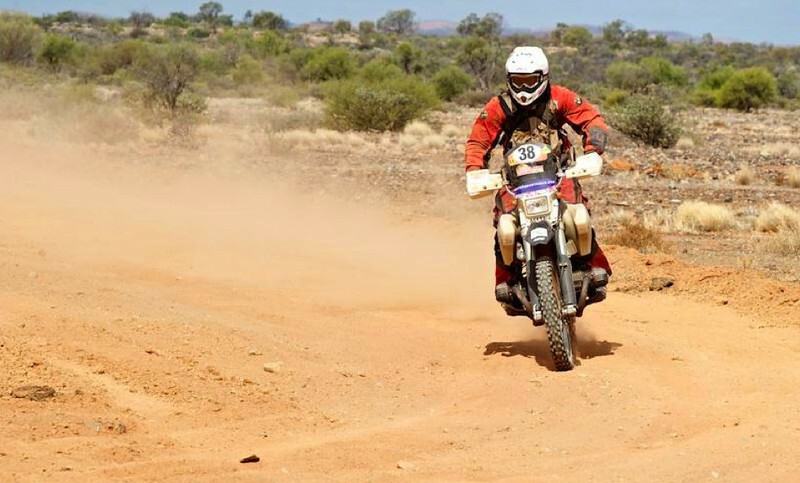 A flat tyre and some navigation hiccups slowed progress but Jason brought the big BM home in 28th position overall. Picture below courtesy Australasian Safari. That’s a days total of total of 434.17km in special stages. It’s the second last day, and the last day of big specials (Leg 7 specials are two at less then 30 and 20km respectively). That’s a fact I’m sure Jason is well, well aware of. If he were not busted, bent up and fully exhausted by now then there is something wrong with him. Have you seen any of the video footage of the riders? Man they are stuffed! Almost there man….Keep it up Jason and GO GO GO! Previous Post Day Four Done Well – Day Five Digs In. Next Post Done & Dusted!